The first photo is out of focus except for the stem. In contrast the second photo below it is in focus except for the stem. The last is a close-up of the two withering flowers. For this challenge, get out there and take a picture demonstrating the concept of focus. Depending on your skill level or type of camera, tinker with the manual settings, use the auto focus feature, or play around with an app. •Snap a photo of something or someone in focus, against a blurred background. •Share a panorama or landscape in sharp focus, in which you can see details far away. •Use a camera app to force focus (or blur) in an experimental way. •Take multiple photos of the same scene or subject using different aperture settings and publishing the results. Want More – Focus – photos ??? Vibrant color and a good response for the challenge of focus. It may have seemed difficult to you, but your choices don’t tell us that! Nice. I smile as I read your comment … thanks. I really appreciate the encouragement in your comment. Hey, I have some pix of a few more antique cameras. These were at an antique shop in the next town from where I live.. Nice hobby …. Flower colors become more vibrant as the flower wilts. It’s fascinating to watch the shape and color changes. Very lovely Isadora! And thanks for the PB!! Your welcome on the PB – it is well deserved. Thanks for the visit, Tina. 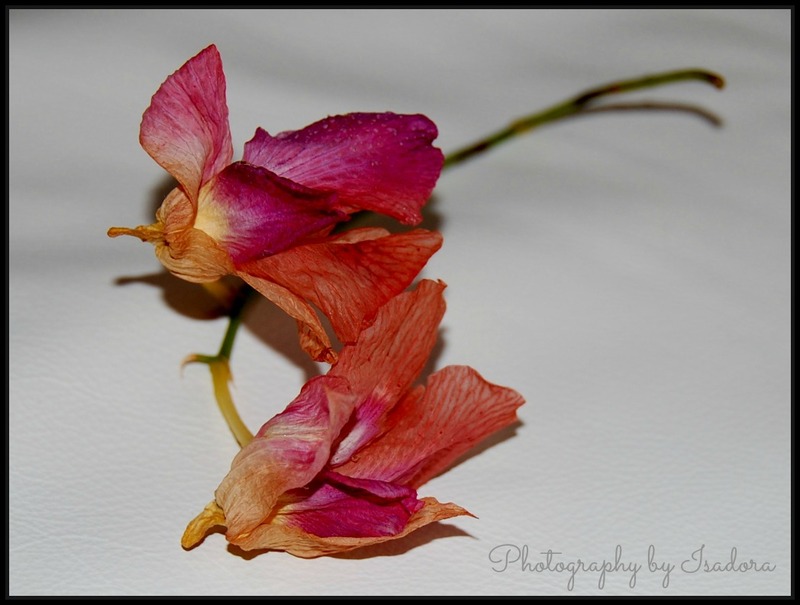 good photos of dead flowers. The color gets more intense as they start to wilt. Lovely photos for this challenge, such lovely colours. The colors are incredible as the flower starts to wilt. They seem to get deeper tones. Glad you enjoyed my entry, Janaline. Great capture of beauty in decay Isadora. Love the stunning colours! 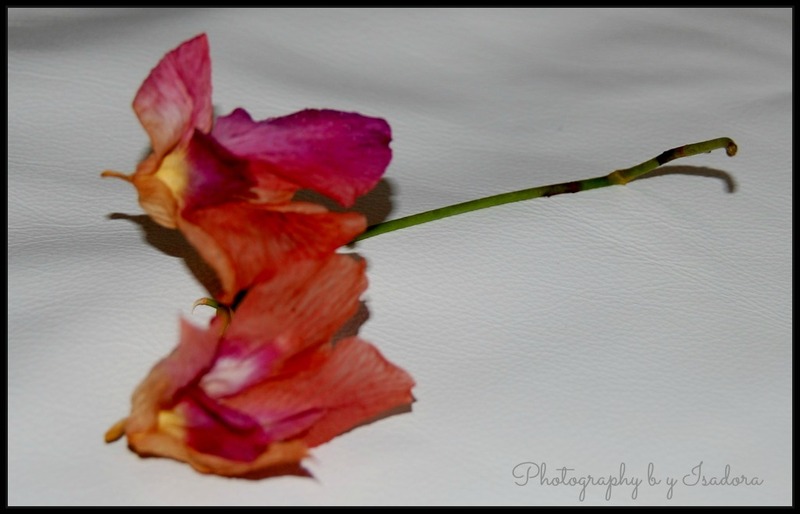 I like to take photos of flowers as they start to decay. I think the color changes are incredible. The petals and leaves take on strange shapes. You nailed this one easily Issy! The colours are lovely, what is the flower? I searched my photos – and there are many, many – and found these two. I took a chance that they would fit the challenge. I’m happy you think they do. Thanks …. Oh … I haven’t the slightest idea what type of flower it is. I took these photos about a year ago. They were in a big bouquet. I appreciate the nomination very much. I have a few awards I’d better get to. Pingback: Weekly Photo Challenge: Focus on a Motorized Parachute | What's (in) the picture? This is just wonderful , the color is mesmerizing! Aren’t the color incredible? 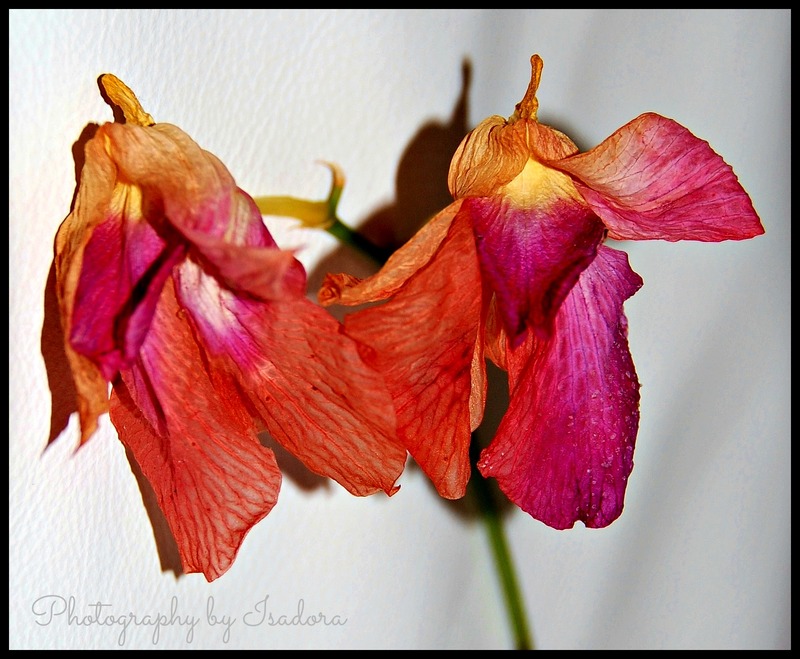 Wilting flowers deepen in color as they wilt. I enjoy watching them change shape and color. It’s the reason I photograph them so much. Wonderful demonstration of focus, Isadora! …and those colors! Ahhh …. I tried, Marina, I tried. Glad you think it is wonderful. Beautiful focus…I love the colors too! Flowers do tend to deepen in color as they wilt. It’s the reason I enjoy photographing them.